Primulina sclerophylla W. T. Wang is growing at Munich Botanical Garden. 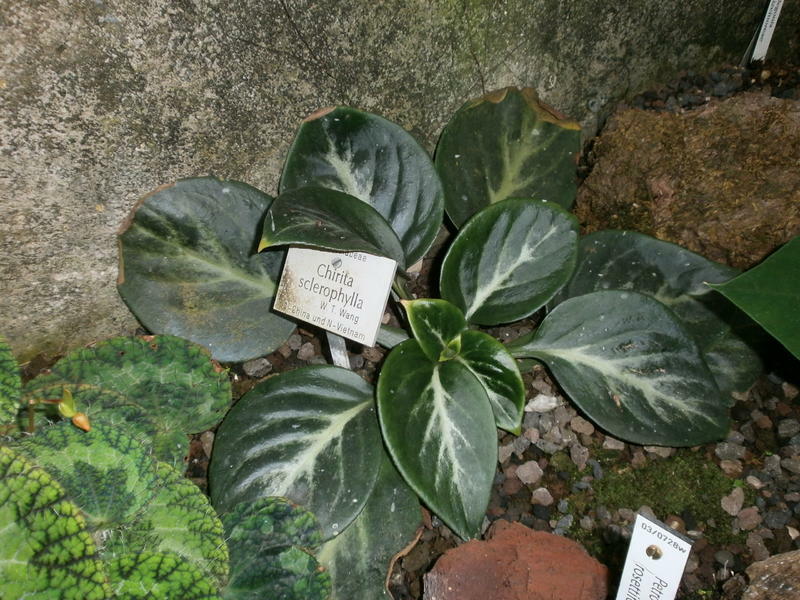 The plant is described with a compact rosette of deep, forest green leaves, with a silvery to pale green center streak. Occasional blooms are violet.